Welcome to jobaffairs4u, It's always a matter of pleasure for me to help student's specially who are pursuing courses from Distance Education. As we all know , NIOS is currently providing Distance Education in field of Higher Secondary and Senior Secondary. NIOS conducts its Board Examination's under Stream I in April and for October Examinations. As NIOS Board examinations are for April 2018 are coming All learner's must be very anxious and curious about the exam pattern and level of Question paper in NIOS Board Examinations. So you all must be preparing from the Study Material provided by NIOS. Books provided by NIOS are very Highly Informative and specificaly designed for Distance learner's with all course structure designed by reputed teacher's and Faculty members. NIOS Board Books are as powerful as CBSE books because both at some level maintains level of understanding and its delivery of rich content. But as we all know to cope with these examinations we always need some supportive study material which can help us to sharp our brain to focus more on Board examinations. An Additional study books or revision notes , sample paper are priority of a student. Therefore from this post I am sharing Study Material for NIOS Board Examinations 2018. I have compiled all NIOS study material in PDF format. Keeping in mind the fact that students need to revise or practice questions chapterwise , I have compiled each file seprately so that anyone can take print out of only required topic or notes. This NIOS Study Material Package consist of 1 folder which includes 5 files in PDF format. This Package contains NIOS 12th Class Physics Study Material which is First Volume in this Series. Study Notes and Papers are in English. All files are in PDF format. Chapter-wise Expected Important Solved Questions(Theory + Numerical) for Revision. HOW TO EFFECTIVELY PREPARE FOR NIOS 10th & 12th BOARD EXAMS? This is the very first question which arises in each Distance Learner mind. For NIOS the very Basic formula to secure good percentage is to study earlier as possible. NEVER think about to study at last moment specially for NIOS. If you will compare CBSE and NIOS Board syllabus you will find that NIOS is little bit typical. The reason is that for core subjects like PHYSICS, CHEMISTRY, MATHEMATICS , BIOLOGY and other subjects syllabus designed includes chapter from 11th Standard of CBSE Board. Therefore somehow for a new Learner who continued his/her studies from CBSE to NIOS for any reason/option , He/She may find NIOS to be more typical because student has to learn chapters which in themselves are time consuming, needs through understanding and continuous study plan. For this reason NIOS will surely take extra energy from all students. But Yes there is a positive side also, Exam pattern and Questions Asked in NIOS Board Examinations are maintained in a level , keeping in mind the point of view of the leaner's as they are not gone through any regular classes or teacher interaction. Therefore Questions asked are easy and if you have done proper studies in timely manner, then its not's a Hard nut to crack. Study Material provided here will surely benefit you all. I would like to share some key strategies to prepare yourself for exams with this study material. 1. Quick Revision Notes will help to memorize main points of the Chapters. They are written in simple and smooth manner. 2. Chapter-wise solved Question are included so that you can prepare yourself from this question bank for overall practice. 3. Chapter-wise Unsolved Practice Questions are also included so that you can study with the point of view of those questions. Prepare answers for all those Questions by reading your Books provided. It will definitely Boost your studies with focus on expected questions. 4. Model papers are also included. Practice them in timely manner. 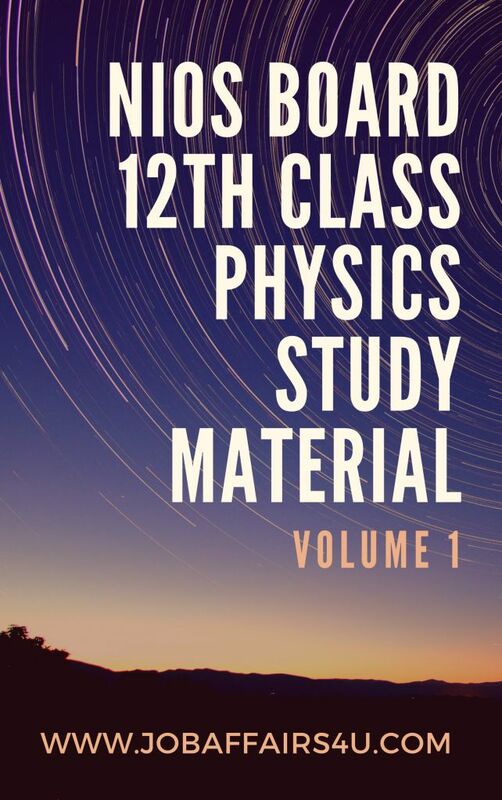 In Coming Days Second Volume of Physics of Study material package will be provided here. In similar way , I am working on other subjects too. So keep checking for Latest update. Any Suggestions or Help required is most welcome.